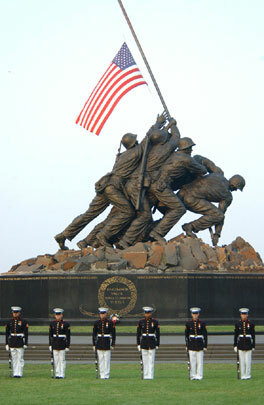 Thank you to our service men and women past and present. 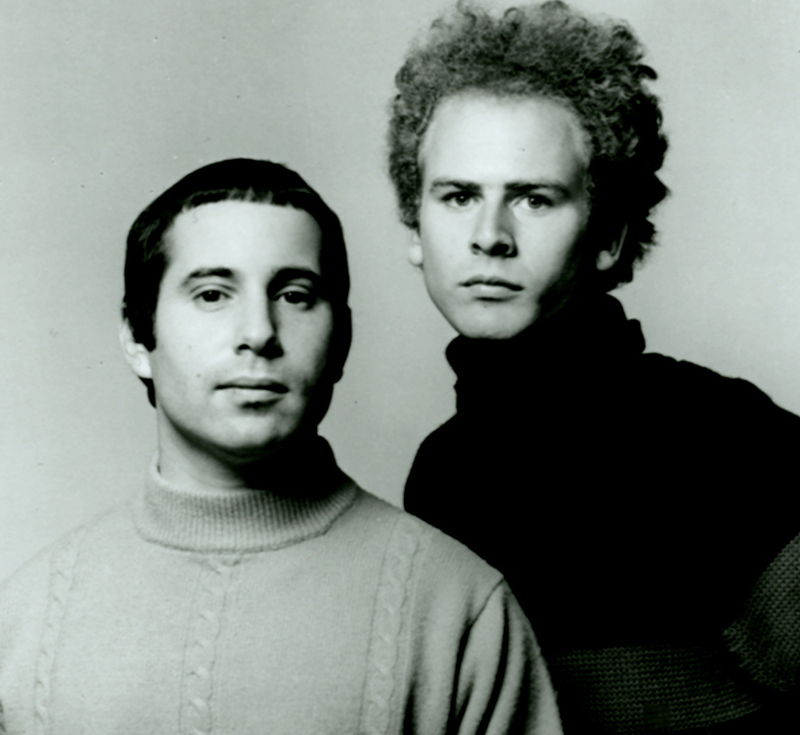 Art Garfunkel was no Andrew Ridgeley. Simon and Garfunkel were one of the most successful pop acts of all time; no one could offer a sane counter-argument to that. But when people started to realize that Paul Simon wrote all the music and lyrics and sang half the harmonies, suddenly Art Garfunkel’s worth was in question. Hell, Paul Simon drew the same (wrong) conclusion and soon went solo. But then they went out with a bang. 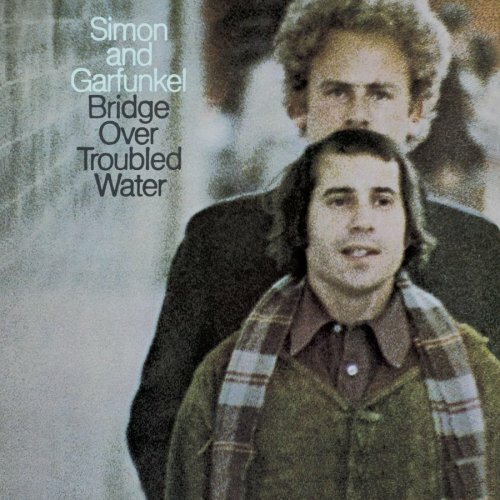 “Bridge Over Troubled Water” is not only one of the biggest hits of all time, it’s arguably one of the very best pop vocal performances ever recorded. And while those might have been Mr. Simon’s words that were being sung, it was the majestic pipes of Art Garfunkel that took a great song and made it a timeless classic. Think I’m wrong? Find me a cover version from this enormous list that could dare to stand next to the original. “Bridge Over Troubled Water” turns forty this year. Check out the other top hits from 1970 and you’ll see how much it stuck out like a sore thumb. It was heavily lyrical and had orchestral movements; almost operatic in its scope. It’s confessional, nakedly emotional, and one of the most powerful songs ever written about reaching out to someone who needs you. When this single was released, it was when the hit-single conscious AM radio of the 60s was crashing headlong into the album rock of the 70s in an explosion that would change music forever. But while bubblegum, rock’n’roll, Motown and folk were all peppering the airwaves with enjoyable music, this track indeed was a cut above. I can still listen to this album today and get the same rush I did when I first heard it. I used to be able to play a few of the songs on guitar; Lord knows how many times I’ve sung along to the stereo, with the car radio, or with a group of friends during late night jams. But I think a couple of these tracks (and “Bridge” is one) provide an incredibly spiritual experience through a pair of headphones (or leaking from your speakers in a dark room, late at night). And consider that all of that was just the title track. The album – like all of theirs, really – was filled with top-notch songs. “Cecilia”, “Song For The Asking”, “The Only Living Boy In New York”…hell, I could write an entire essay just discussing “The Boxer”. Listen to clips from the album at Amazon. 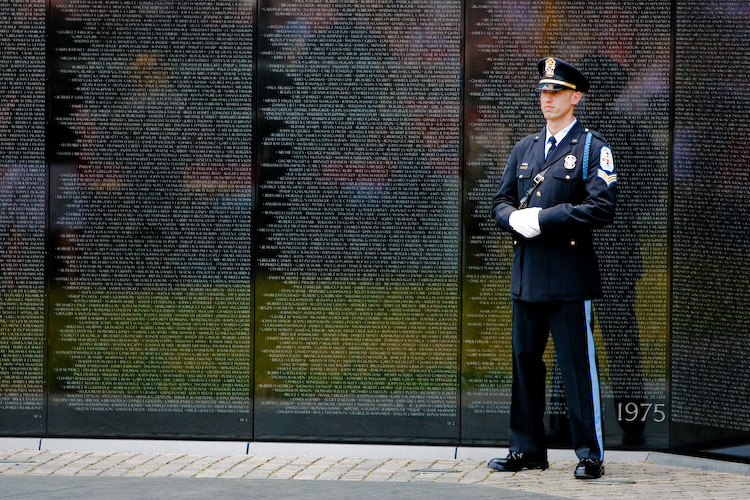 It’s Memorial Day Weekend here in the United States, but since I have to account for our society’s short-term memory (and McNugget lifestyle), today I’m only dropping back five years! Is nothing sacred? 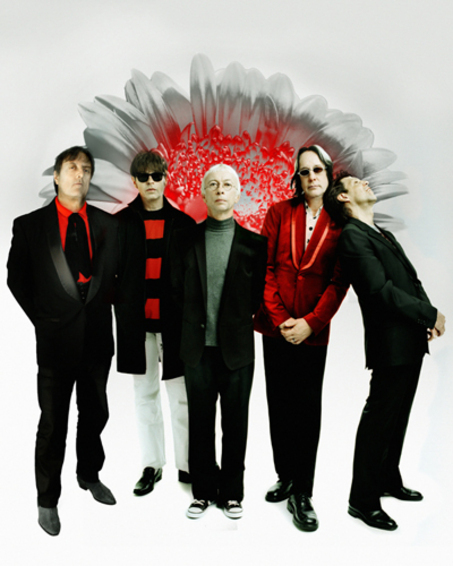 Those were the first three words out of my mouth when I heard that Todd Rundgren and two-thirds of his current band were hooking up with the lesser half of The Cars to exhume the Boston band’s legacy and (ahem) take it for a spin. 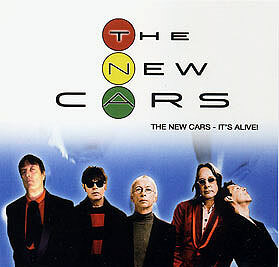 But with Ben Orr resting in peace and Ric Ocasek – the face of The Cars – unwilling to sign on, how could one possibly take a new version of The Cars seriously? A famous musician covering others is nothing new. Utopia’s Deface the Music was a brilliant take on The Beatles, but it was an album of originals, not covers. And when Todd has done the cover route, most notably on Faithful, the results have been stellar…but always under his own name. Ringo takes a few…er, ringers on the road every summer, but he doesn’t call it The Beatles. Elliot Easton, on the other hand, had no problem whoring out (*) as a member of Credence Clearwater Revisited. (And let’s face it, without John Fogerty, what is there to revisit?) Considering the collective history of this quintet of players, they could have called themselves NazzCar or Autopia and at least had a sense of humor about it, but…no. And the record? 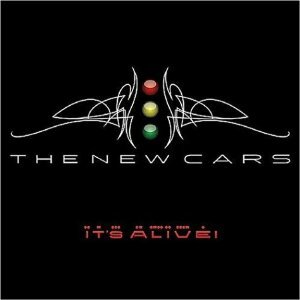 Mostly (cough) faithful and energetic live renditions of the Cars catalogue, the faster tunes more acceptably juiced up. Todd channels Ocasek’s vocal mannerisms for “Best Friend’s Girl” and “Shake It Up” but Sulton’s take on “Drive” is a disappointment. One new track, “Not Tonight”, is probably the poppiest thing Rundgren has written in years but is ruined by ridiculous lyrics. Does this longtime pop craftsman really think a Blackberry is good subject matter? As for the other two new tracks, they’re so forgettable that I have thankfully forgotten them already. The set here, like the live shows, is padded with Todd songs, so the catalogue is obviously thin. Anytime a “band” has more apparel than material, you have to take them for what they are – a money grab, famous guys leaning on a legacy and going for it (read: merchandising) as an over-qualified cover band. Cars? They just don’t make ‘em like they used to. Five years later…I’ve probably softened on my initial reaction since then, if only for the continuing struggle that so many of my musician acquaintances endure. Can’t afford health care…their work shamelessly stolen and distributed by pirates…an entertainment industry focused solely on spectacle and tweens at the expense of a generation of living, breathing musicians. 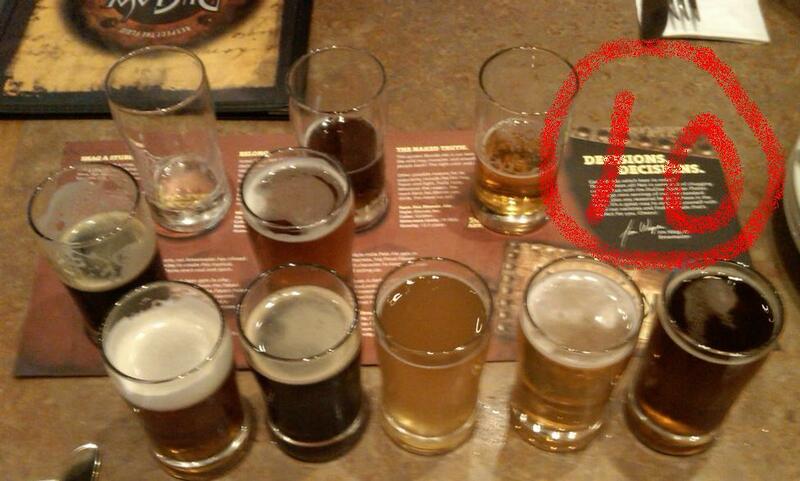 It’s Memorial Day Weekend – time for pints, people and pleasure! But since I have to account for our society’s short-term memory and McNugget lifestyle, today I’m only dropping back five years! And this weekend I’ll stay on topic and plunge back into the past for a couple of items – one a forty-year old classic and the other a five-year-old failed (but interesting) experiment from two of the biggest pop artists of the 70s. 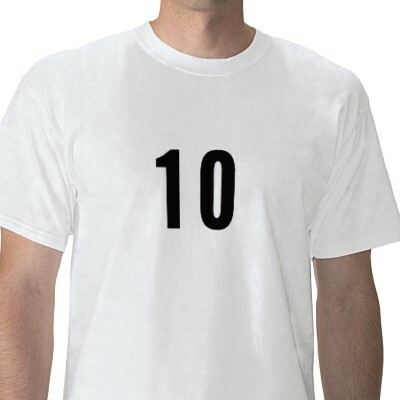 But for now, a visit to my ten top titles from 2005…and what the artists are up to in 2010. 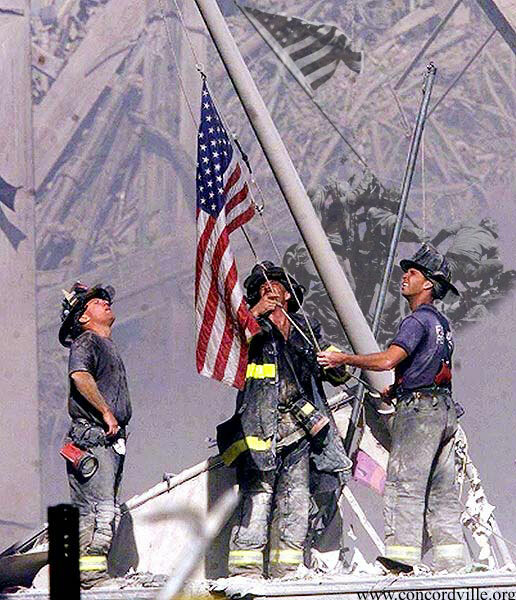 Have a safe and happy holiday weekend! 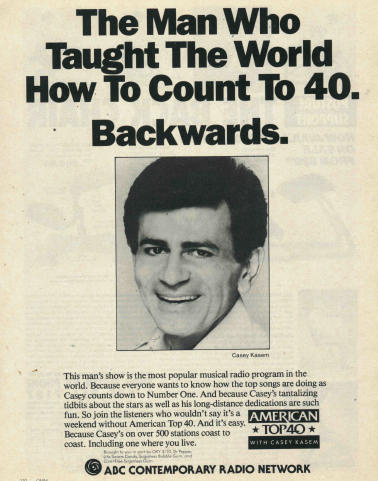 Happy Birthday to one of the true Deans of Pop Radio, Casey Kasem. He’s 78, but ironically they don’t make those anymore. 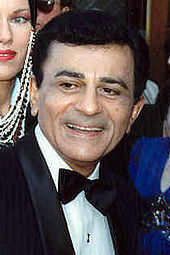 Kasem is most famous for two long running radio programs, American Top Forty and America’s Top Ten. His vocal affectations and dramatic pauses quickly became a popular vocal caricature; imitators would exaggerate his style and cadence to make even the most mundane topic sound attention-getting. Kasem’s show was punctuated by a plethora of gimmicks to personalize the listener experience, from Long Distance Dedications to short background stories about the record he was about to play. Radio jocks have always had “personalities”; that’s part of the trade. But unlike today’s climate of full and open access, Kasem flourished in an era when radio was just about a teenager’s sole salvation for music, and he was smart enough to talk to the listener as if it were a direct conversation. If Wikipedia is to be believed, Kasem hasn’t granted a single interview since retiring from radio and television last July. That, my friends, is the definition of irony. 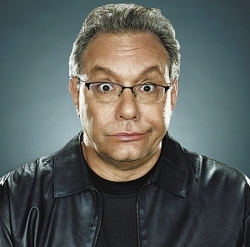 Let’s start off with the free stuff – two weeks from Saturday (June 12th), Comedy Central will air a brand new one-hour Lewis Black special at 9:00 P.M. EDT. That’s cause for major celebration right there. My money is on blistering. I mean hell, no matter what side of the political fence you sit on, there’s an ammo pile at your feet with reinforcements aplenty. Even an independent like me could play double agent against the field and sleep like a baby. 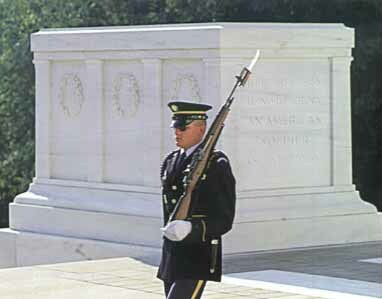 Then, three days later…the money shot. 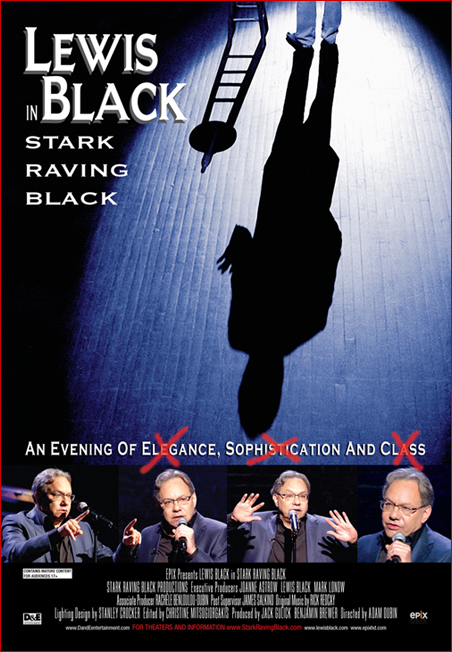 Lewis Black: Stark Raving Black CD will be available June 15 on Comedy Central Records, marking the Grammy-winning label’s 100th release. The CD is available in physical and digital record retailers nationwide. The DVD version of Lewis Black: Stark Raving Black will be released nationwide by Comedy Central Home Entertainment and Paramount Home Entertainment in standard and high-definition versions. The DVD is an extended version of the broadcast show that airs on Comedy Central June 12th, featuring 35 minutes of additional stand-up comedy not seen on TV, plus a 70-minute documentary on his life and career titled Basic Black. Sweet! I can’t think of a better time for a dose of bitter reality. As always when circling back to some old and obscure favorites, I find that I’ve missed some subsequent projects. Absolute Fiction, Carnival of Souls, The Scam…how did I miss three bands? In a way, that’s good news for me – more to enjoy! In a way, bad news for you – the title I referred to below doesn’t even exist anymore. But several of the songs are available for free download at his site. I think if you enjoy artists like Semisonic (and solo efforts from Dan Wilson), The Zombies, John Wesley Harding, Toad the Wet Sprocket, Keane, or any of the more melodic pop artists, you’ll find something to like here. Many songs are very light and airy; some of the band material is a bit more uptempo. Dion’s record is the first one I received that is printed on the MP3.COM “label”, the concept itself gets mixed reviews from me. The Digital Automatic Music (DAM) CDs are predominantly low-priced and contain two sets of tracks – one for your CD player and a set of digital files for your computer – along with artwork, video, lyrics and other goodies (the contents differs from artist to artist; this CD seems to only have a song list and a photo). So you’re in good shape if you’re at the computer (unless you don’t have Winamp or some other program set as your default CD player, in which case your computer wrestles with itself for a while). The actual CD booklet, however, has a cover shot and very plain track listing on the back plate; everything else is generic information about MP3.com or a blank page. Bummer for those non-computer listens. But what counts is inside, and Something Always Happens is loaded with great pop tunes. I first heard “I Wanna Be With You”, which is an irresistible sing-along pop track with jangly guitars and a great chorus. Watts’ vocal style is old school AM radio stuff, sometimes light and airy (“The Bluest Eyes”, a prom song if there ever was one), sometimes more pronounced like a John Wesley Harding on tracks like “God’s Cruel Joke On Me” (which almost sounds like a JWH title, doesn’t it?). “She Used To Love Me” is another solid hook backed by a great vocal, while the layered vocals on “Ashlee” and Overnight” are a nice touch. Watts plays and sings just about everything here, and pop fans should have a field day. Listen and download tracks here.